Minced Meat and Big Fish Small Pond deliver a Hip-Hop Night for FREE! 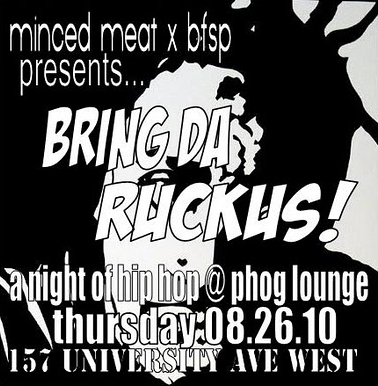 Join us Thursday August 26 at 8:00PM for a live hip-hop showcase at Phog Lounge! Bring your friends, it’s free!